I’m always a happy camper when the weather cooperates long enough for my parents to bring out the non-breakable barware for a cocktail on the patio. I’d like to note that this is my first Pimm’s Cup of the season. The 3rd week of July should never be the first Pimm’s Cup of the season. Likewise, I need assurance that a spiked Arnie Palmer will always be a regular occurrence during the summer from here on out. I made a pit stop at Binny’s over the weekend and found this handle of sweet tea vodka for a very reasonable $16.99 (which brought it to about $4,000 after Illinois liquor taxes). At that price, I should probably always have some on hand since you never know when a guest will show up and need a summery cocktail. Ladies and gentlemen, may I introduce the world’s most disgusting looking dip (and thanks to Molly for introducing this new addiction into my life). 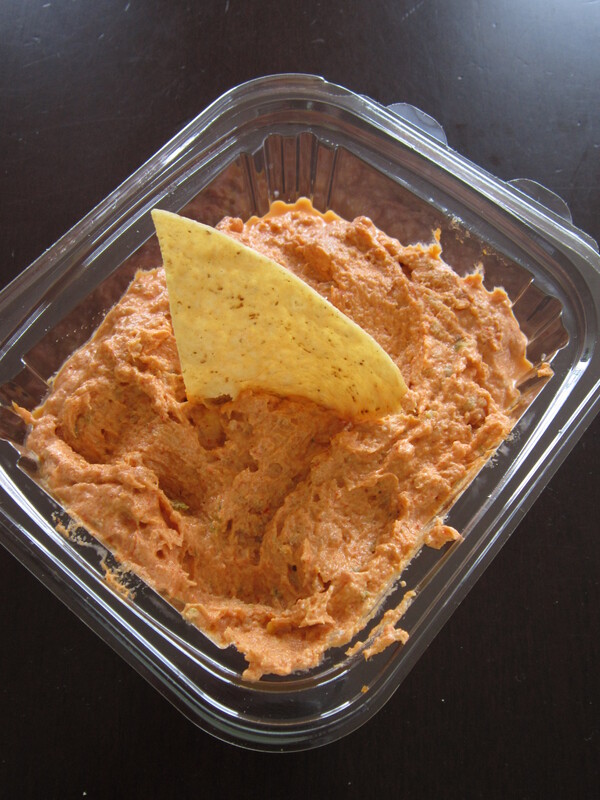 And yet, it is one of the most delicious dips that I have ever tasted: chicken salsa. It comes from the prepared foods case at a local supermarket (Treasure Island, for the Chicagoans out there) and the ingredients are listed nowhere on the packaging. For the life of me, I can’t pinpoint what exactly is in it. I’m thisclose to calling them, saying that I have a food allergy and that I need to know exactly what is in it. Think they’ll go for it? Probably not. And besides, maybe that’s bad karma. But believe you me, I am going to figure it out. The process will likely afford me an extra 20 pounds on my hips, but it’s worth it in the name of research, right? There is one other scene from the last week, but that involves my bloody foot (the result of an unfortunate spill on an uneven city sidewalk) but I’ll spare you a photo. Let’s just think about chicken salsa for another minute. Binny’s! I went to one once. It’s a glorious place. I wish I liked Pimm’s Cup. It feels very prohibitiony. But I don’t think I’m sophisticated enough for it. I did come around to St. Germaine’s though! Ah, TI’s chicken salsa. What can I say? I’m sorry? You’re welcome? Both? Either way, you know you can always count on me to help you eat it. And wash it down with some sweet tea cocktails. We’ll split that 20 pounds, k? Oh, chicken salsa. What can I say? I’m sorry? You’re welcome? Both? Either way, you know you can always count on me to help you eat it. And wash it down with some sweet tea cocktails. We’ll split that 20 pounds, k? a teeny tiny wipeout? Uh oh. Luckily my sticking to flip flops the majority of the summer has kept me pretty safe. Crazy, I know. Well, yeah, but I was wearing flip flops…it wasn’t a teeny tiny wipeout, though- my foot still isn’t healed! You need to figure out the chicken salsa!!! Chicken + Salsa + Cream Cheese?? That would make sense, but I don’t think that’s it. Don’t worry, I will figure this out! Sometimes I think foods with the most elusive ingredients are just naturally more delicious. I’d call them. Say you heard it was delicious, and you really want to try it but you have some strange allergies so you want to be safe about it. 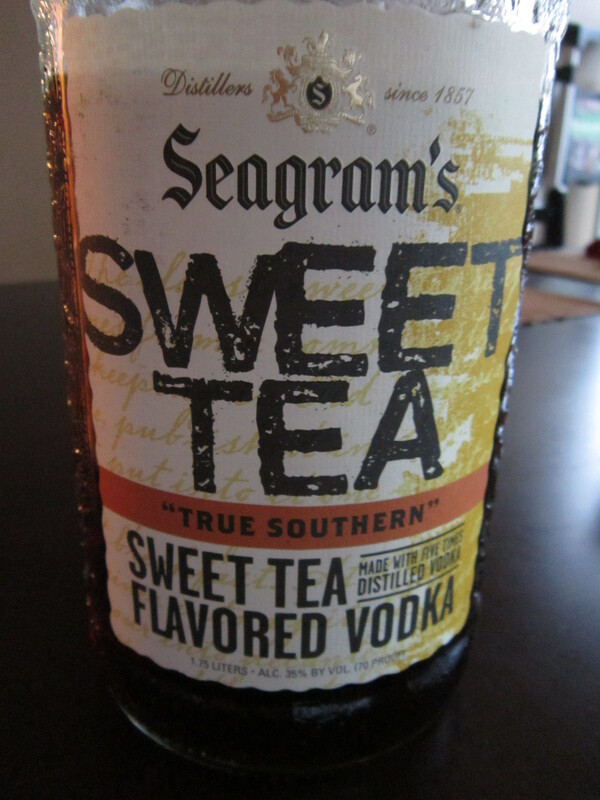 I haven’t even been able to look at sweet tea vodka since my 21st birthday.. But I *can* stalk your blog for a good 20 minutes and decide it’s definitely one of my new faves. And… I just did. Not sure how I stumbled upon it but I love what I’m seeing! So I just found your blog and needed to tell you that I am OBSESSED with that chicken salsa from TI. I seriously go there sometimes just so I can sample it (sad). But I did one time see the ingredients posted and took a picture but now I can’t find it :(. I know one of the main ingredients was ‘chili con queso powder’. which i had no idea how/where to find. OH MAN, I thought there was some kind of queso component in there! Katie, you have to find that picture!! Don’t worry, I’ll keep working on it…the world needs this recipe. Hi I just found your blog as well because I want to make that chicken salsa dip. It is so good but IT is a far drive for me now. Any luck on the ingredients? No, I haven’t figured it out yet! I’m working on it!